Study Technology (Study Tech for short) is a simple, practical system that anyone can use to study any subject and any materials. Now you may be wondering, why do I need a study system? You already know how to study, right? You simply read your textbook and memorize certain information and then put it down on paper when your text or exam comes... right? But can you remember what you studied a month later? Or 6 months later? And can you actually use or apply the information you studied in real life? Probably not. Study Technology is not mind-mapping or some clever memory trick or learning in some parrot-like fashion. It certainly contains tools you can use to help you study. And it definitely will help you improve your grades and excel in your tests and exams. This study skills system is totally unique because it contains something that no other study system deals with – the natural laws of study. No other study skills system contains these natural laws of studying. Nor do they describe exact things that occur to you as a student when you run into any of the 3 barriers to study, or exact solutions to overcome these 3 barriers. The picture below may be funny but unfortunately it's very common, especially in accounting. Looking sort of lifeless while “studying”? Maybe looking a little squashed in their chair? 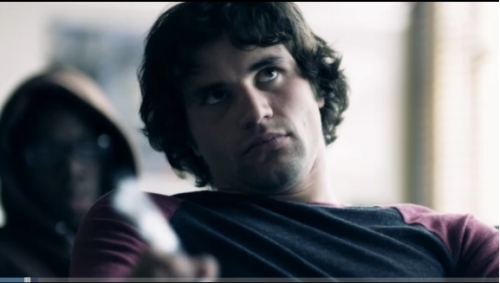 Or even getting fed up with their textbook? Do you know that there is an exact reason why any of these things occur, which has to do with the way that accounting is taught and “learned”? Study Technology describes the exact reason accounting students who are studying from their textbooks start to bend over, become sort of lifeless and/or bored and get fed up! It also describes why you would want to run away from your studies at times and why you keep thinking of reasons to take a break! And it even goes over situations where you are confused and don't get something you're reading – what to do. Best of all it provides the exact and simple steps to take at any point while you are studying to change things around and keep studying smoothly and with ease. This study method breaks down the problems associated with studying any subject into 3 distinct aspects, and then provides multiple tools you can use to overcome each of these 3 barriers. The end result is that you really understand what you are studying. And you will have no trouble remembering what you read. Because when you understand something, it’s very easy to remember it. In my opinion Study Technology is the foremost study system in the world. I have no hesitation in saying that you would be wasting your time with any other method. I first came across Study Technology when I was a university student in South Africa. I did the course called the Basic Study Manual (pictured below) and I then used what I learned in the course and applied it to my accounting studies. To make a long story short, as a result of these study skills I was not only able to excel in accounting at university level, I understood it so well that I started teaching it to others and soon became an expert in the subject. I became an accounting tutor and lecturer and taught many students, and I incorporated what I had learned about study skills into my teaching. Eventually I put down my accounting lessons in a book and a website, where you are right now. My book and this website were written using Study Technology. If you find this site simple and easy-to-use, that's due in no small part to the building of this educational system into it. 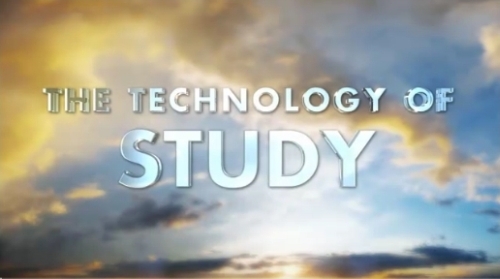 Study Technology was developed by L. Ron Hubbard, who is the founder of Dianetics and Scientology. 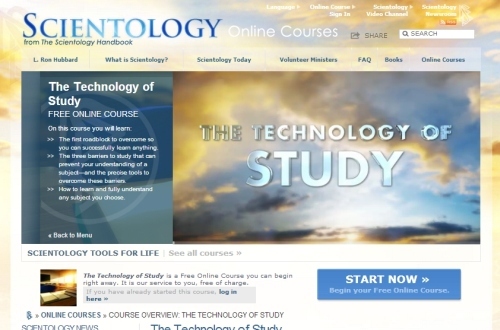 You can do a free online study tech course here on the Scientology website (screenshot of the page is below). Watch the great video they put together on Study Tech first on the right of the page and then enroll for the free course below. Study Tech courses are also available at Dianetics and Scientology centers (the most advanced course is available there and is called the Student Hat) and are also offered by Applied Scholastics educational centers. Unlike the online course, here you have face-to-face assistance available while on the course from a trained course supervisor. You can also purchase one of their books for yourself online and go through it at home. The book I recommend for high school, college students and adults is the Basic Study Manual, which you can purchase here on Amazon. You can also buy the book here on Amazon UK. There are also Study Tech materials available for younger learners. The book Study Skills for Life is for ages 12-15 and the book Learning How to Learn is for ages 8-12. Equipped with Study Tech I am quite confident you will do great in all your studies throughout your life! Good luck!